This is the simple strategy board for tennis. f friends have iPhone or iPad, you can send data and share making movie! hope this application will help your team. Enjoy your sports life!! Sample movie is uploaded to Youtube. Please click support or search "sports strategy board". This application's functions (Field window) move piece plus button record point of piece start button play back with animation pencil button draw line (3 color) eraser button erase all line shake reset record pinchin/out change piece size i button show Config window (Config window) change cort size (full or half) change back number (099) save data (max is 5) load data send data by email (Data is string, so you can share on and etc..) load from clip board (copy send data, and press button) How to use playback! 1. move piece 2. push plus button. The number under plus button will increment. This is record num. 3. repeat 1. and 2. 4. push start button. 5. f you want to delete record, Shake! Check these links to find your download for Tennis board for & iOS or for your device iPod TouchiPadiPhone. 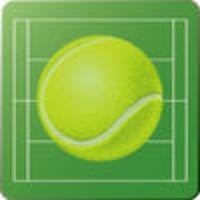 The app Tennis board is compatible with te following devices.